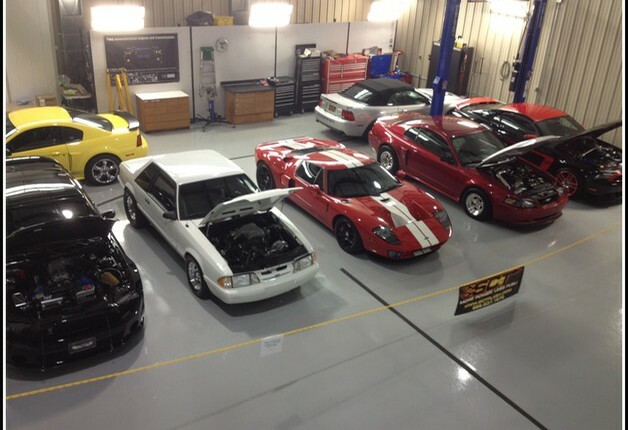 Performance Evolution is a small Ford Performance shop that makes customer satisfaction the number one priority. Every attempt is made to make sure things are done right the first time. Most new customers are a result of a referral from an existing customer. If you are looking for a personal one on one experience where YOU the customer has an understanding of what is being done to your vehicle and why, this is the place. Please feel free to pick and the phone and call or email, I would be happy to answer any questions. A lot of time and money has been invested to make sure everything is on hand to do the job properly. That starts with a clean climate controlled work environment, indoor overnight parking, 24 hour video surveillance and our in-house Dynojet 224xLC load bearing dyno. With the help of years of tuning experience, an SCT Certified Tuning certification and the great folks at SCT and their tuning software, not only are the necessary parts in place but you can be assured they can work at their highest potential. 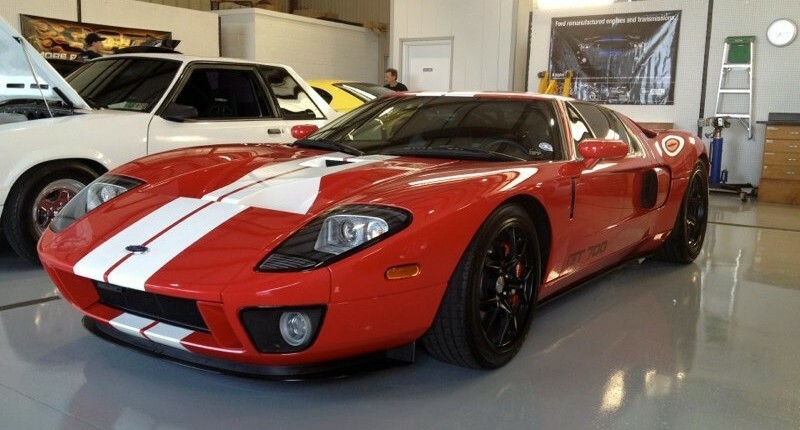 Of course maximizing horsepower and torque is important but getting a car that drives great too is the ultimate goal! We are located in the Smyrna Business Park in Smyrna Delaware only 1.5 hours from Baltimore or Philly. See our CONTACT INFO page for all the details. Connect with us on Facebook to stay up to date on all current happenings with Performance-Evolution. The car above was a car that I owned for about 11 years in which time it underwent many transformations. 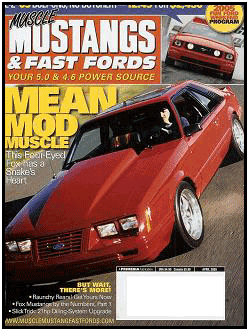 I was fortunate enough to have it featured on the cover of Muscle Mustangs and Fast Fords in April 2005. © Copyright Performance Evolution - SCT-Certified Mustang Performance Shop & Dyno | Delaware Web Design by atrifico.